(Click on this link you view the connections on the page. Sarah Jeane is a spiritual counselor healer, angelic channel, spiritual teacher, inspirational speaker, author (click here to view Sarah Jeane’s books), visionary artist and graphic artist, illustrator and art director. She communes and works with Angelic Beings, Masters of Light, and Nature’s Intelligence—expresses “Light, the Sanctity of Life” in all that she creates in furtherance of global peace and harmony. 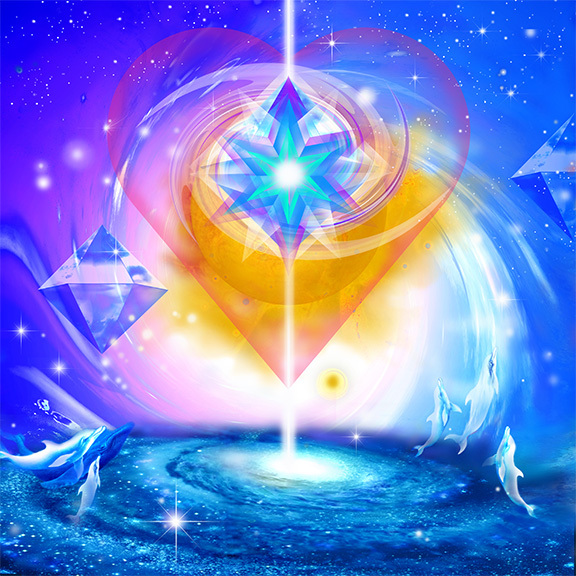 She has been embraced by the Light and guided by Luminous Angelic Beings into higher dimensional realms of consciousness to receive instant healing and messages of Peace and Love. • “Love the Angels” show is all about Love—the Angels are all about the Love of the heart. When we love we shift in consciousness and we step into infinite possibilities within that light frequency, we raise our vibrations, our light expands—we then contribute to goodness and peace. Our love is received by all beings and Mother Earth. We are here to Love! In that Love we understand who we are, we awaken, we create in harmony. The purpose of the show is to increase our capacity to expand awareness, harmony, serenity, love, and joy in our lives despite any other external circumstances—the spiritual insights from the Angels, Masters of Light, and Nature’s Intelligence are guiding us on that journey. –We all know that we are at a pivotal time, this is why it is important to be of service to help one another remembering who we are. It is important to consciously welcome all angelic spiritual assistance in our lives and open our Hearts to receive all the Love that is. We are never walking alone. The Angels say that the Heart is the “Portal of Creation and that it is the Source of all Healing”—from the Heart it is possible to create in holy ways since its inherent divine design of the Christ Light emanates the highest frequencies of Love in infinity uniting us all and from where all life sources—the Sacred Heart is oneness consciousness. • Upcoming workshops: I teach a few different workshops related to various aspects of the Heart space. May 14 and May 15, I teach two different classes—they are both related to the same topic of the Heart and an awareness of our Divine design. Or you may choose another day and time, let me know what works for you! I teach one on one or in a small group. Please feel free to contact me at sj@artfromthelight.com, if you would like to receive these teachings that are channeled and also based on ancient teachings—or if you are interested in another class, have questions or would like a healing session. As we connect deeper within our Sacred Hearts we naturally open a deeper connection with others and with all Creation and life becomes a Divine communion! • Join me May 5, 2017 at 9:00 AM, we will explore our capacity to raise our vibrations within the space of the Sacred Heart to manifest with Love and in Love. “I am looking forward to share that special uplifting and divine time with you. • My friend musician and composer Dov, created a beautiful angelic soundtrack for the show, “Love the Angels”. • Feel free to contact me to enroll in any other classes or if you wish healing sessions. —you will receive messages and answers from the Angels. • The theme of our upcoming show, June 2nd, is about our “Communion with the Angels”.